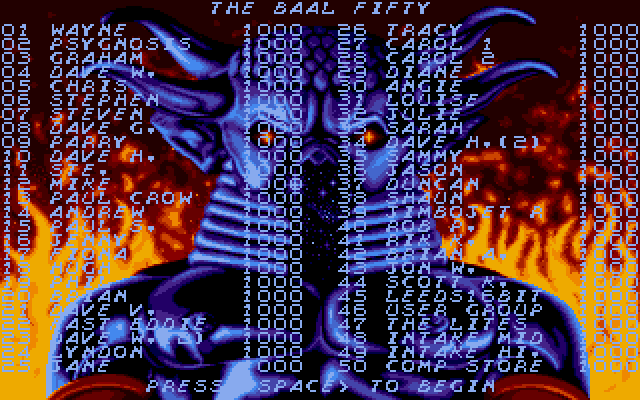 I found an image containing a list of names called "The Baal fifty". This is probably just the default highscore table but it didn't want to appear by itself. 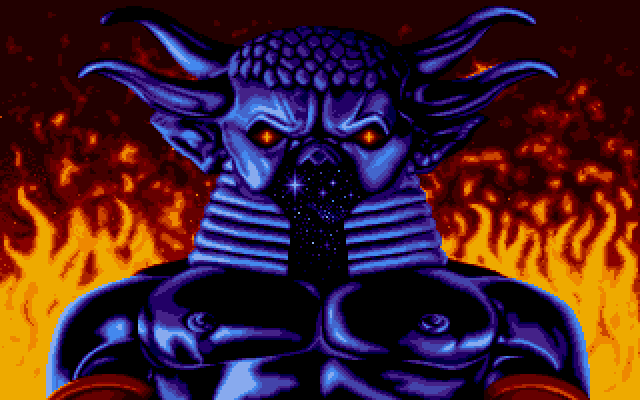 The highscore tables are often be used for greetings or secret messages and this one doesn't seem to be an exception.